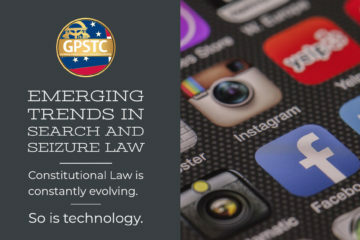 Under limited supervision, conducts classroom-based lecture and practical skills building sessions for Basic Mandate Law Enforcement training delivered throughout the year at one of seven GPSTC regional academies. Participates in needs assessment, research, design, and evaluation of statewide public safety training programs. Instructor of topics including firearms, defensive tactics, and driver training for law enforcement. Long periods of standing, riding, driving, bending, and squatting required. Year-round training in all weather conditions. Wearing of personal protective equipment, i.e., RedMan training suit used for defensive tactics training. Eighteen months of work experience as an instructor providing training development and delivery in various law enforcement related topics. Possession of Georgia Peace Officer Standards and Training Basic Law Enforcement certification. Preference may be given to those applicants who possess one or more of the following: have a minimum four years recent law enforcement work experience; have been regularly instructing in a law enforcement training program; have specialization in an advanced subject area applicable to basic LE mandate training; possess Georgia POST General Instructor certification and any of the position required Georgia POST specialty instructor certifications.